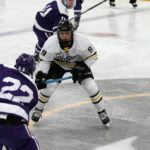 The Gustavus men’s hockey team played bend-but-don’t-break hockey for nearly 59 minutes Friday night, but with 66 seconds remaining in the game No. 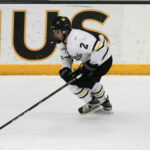 4-ranked UW-Eau Claire sniped in the lone goal of the contest to escape with a 1-0 victory. 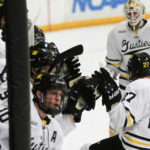 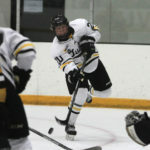 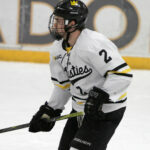 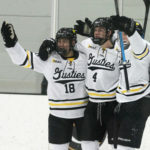 The Gustavus men’s hockey team was able to salvage a series split with Bethel on Saturday night, winning 3-1. 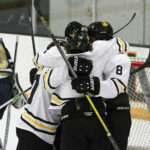 The victory improves the Gusties to 4-5-1 overall and 2-3-1 in the MIAC.